Click here to see the full set on Wowhead. Okay, so I dropped the ball on this one. The gloves are, unfortunately, a drop from Trial of the Crusader (curse you, faction-specific raid drops), which means they are faction-locked to the Horde. 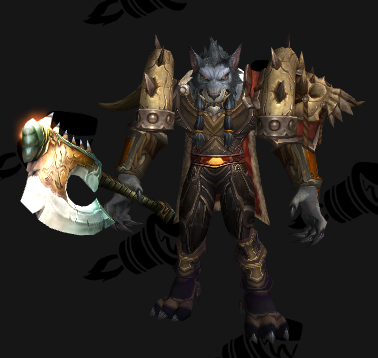 That said, I haven’t flagged this with a “Horde Only” sticker because those gloves, though admittedly pretty cool, aren’t going to make or break the set. If you’re Alliance and can’t find alternative gloves, let me know and I’ll scrape together some ideas for you. On the other side of the coin, if it looks like Breastplate of the Undercover Thorium Brother is an Alliance-only quest reward, never fear. There’s a Horde quest that offers the same model reward. This entry was posted in Death Knights, Paladins, Plate, Red, Warriors and tagged plate, red by Cathedral. Bookmark the permalink.